We all know this drug. It is also called acetaminophen. An unbelievable 23% of American adults use acetaminophen in any given week. The FDA has been looking into regulating the intake of acetaminophen. It has set a limit of 4,000 milligrams per day for adults. This is the equivalent to eight Tylenol Extra Strength pills. It is also worth nothing that acetaminophen is also found in many cold and flu formulations. Few people know that thousands of people in the United States go to the emergency room each year from acetaminophen overdoses. There are approximately 56,000 emergency room visits and 26,000 hospitalizations from acetaminophen overdoses. And people die. Nearly 500 deaths as year are attributed to overdose. Acetaminophen accounts for approximately half of all liver failures annually, more than any other single cause. Johnson & Johnson made $67 billion in sales last year. Folks, this a lot of money. This company will continue to make a lot of money. It might make a little less of Tylenol because some people are now going to stop taking the drug like it was candy. But they will still continue to make a fortune off of the painkiller. 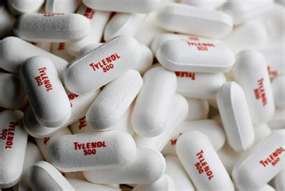 If you have had liver damage from Tylenol, call our lawyers at 1.800.553.8082. You can alsosend us an online request for a free consultation.